I haven't forgotten you or disregarded this blog completely. Things are just moving forward with my writing. It would be disappointing to have started this journey of what makes a writer and still be without answers. So you see it's a success. 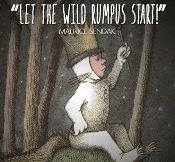 My days of romping are never-ending. In fact, my in the making chapter books are filled with mysterious things afoot at our local Portland library. That's much more entertaining than my ramblings. So what is the answer to what makes a writer? This can not be answered in general terms, as it's different for every one. First, you have to define truths about yourself and then it will be uncovered. That means taking your own journey. Mine was through books. I never really cooked or gardened until I started romping. Nor did I write and E-Publish 2 Christian books. Reading children's books brought me into other activities that I shared with my family as well. For example after reading about a square pumpkin, we thought it be fun to grow our own pumpkins. And not just any pumpkins, we are talking about the Gigantic Atlantic Dill. (We just planted this year's now because beach summers are too hot.) - It'll be a Christmas pumpkin! Having followed me, you know where our romps have taken us. 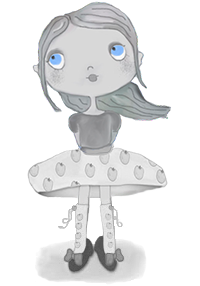 My days are spent editing, working with my illustrator, shopping, Fall decorating, more editing, kid sport activities, cooking, calling my illustrator again to give Pixie more apples, reading & romping with Little Reader, and ... You get the point as to why my posts are few and far between. Pixie will eventually have her own blog and that's where we will be hanging out. But for now, we continue on the hectic totally amazing journey called life. 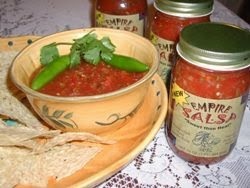 Empire Salsa: For those that didn't know, we once owned a salsa company. Not going to bore you with the details but we sold to HEB and it was great having the extra income. Years later people are still asking for it? This leads me to the question of why not. With a little start up money we can be up and running again. I've got plenty of time right? Lots of hoops to see if I can still fit through, but taking it on non-the-less. Heidi Heckelbeck is a second grader at Brewster Elementary. And having always been homeschooled she's not excited about starting her new school at all! To make matters worse on her first day, she has a run in with the mean Melanie Maplethorpe. But Heidi has a few tricks up her witch sleeve. Could her magic help her get back at Melanie? Little Reader really likes these books with their humor, fun drawings, and easy yet engaging text. I see what Coco was trying to do by starting off referencing the vampire movie Twilight. But kids at this level are not old enough to be familiar with this yet. But overall this is a "sweet" story about a girl named Katie starting middle school. No worries for Katie as she would start with her best friend Callie. Or maybe not. Okay, so she's thrown into the situation of having to make new friends, You'll love the cupcake angle here. I found myself singing, "Make new friends but keep the old, one is silver and the other's gold." So which is it, is the new friend silver or gold? Making this recipe from in the book... YUM! Center baking rack in oven; preheat to 350F. Line a muffin tin with baking cups. In a large mixing bowl, combine all of the batter ingredients. With an electric mixer on medium speed, mix the ingredients together until no lumps remain. Spoon the batter into the cupcake tins so that each cup is 1/2 full. Make the topping. Mix the melted butter and brown sugar together with a spoon. Sprinkle about a teaspoon of the mixture on top of the cupcake batter in the tins. Now add a layer of about a tablespoon of the pineapple. If you'd like (do it) add a cherry on top, pressing into the pineapple layer so it's level. Bake the cupcakes 18-20 minutes, or until a toothpick inserted into the center of a cupcake comes out clean. Remove from oven and place on a wire rack to cool. Let the cupcakes cool at least 20 minutes before eating. This is a higher level reader than the others. - More of a middle grade reader. We are reading it by chapters and so far it's a big hit. Lots of mysterious things unfolding at Olive Dunwoody's household. Dangerous rescues and treacherous escapes is not what this 11 year old bargained for as she and her family moved into this spooky house. This reminds me of our favorite movie Coraline. My reader is going to be Coraline this year for Halloween. Quite simple actually. I'll post on Facebook when it all comes together.